Hey guys! 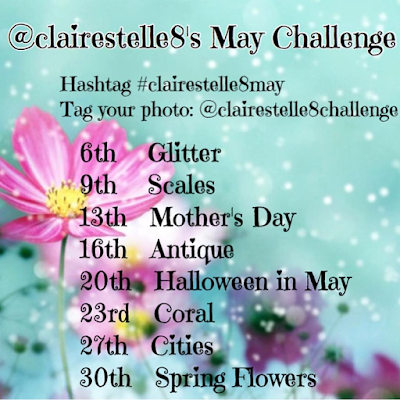 I know Saturday posts are kind of rare for me, but I wanted to jump back into the @clairestelle8 Instagram challenges for the month of May. If you'd like to paint along you can use the graphic below. Now I kind of cheated on this one because I don't normally consider using a glitter topper as "nail art" but I loved this combination so much that I decided to use it anyway. I'm not usually one to do pink on pink but sometimes you just need a good glitter bomb. For this look I started with a base of Bohemian Polish Coney Island Cotton. If you missed the regular swatches be sure to take a moment to check it out. It's quite pretty on its own. The next step was to top this with a coat of Color Club Snowflakes. I don't have individual swatches of this, but you can see the flakies under the glitter topper in the macro above. Finally, I layered a coat of Rainbow Honey Stellar Treat. I'm not a huge pink person, but the mini stars in Stellar Treat are irresistible. And there you have it! My super cutesy glitter mani featuring more pink than I can usually stomach haha. 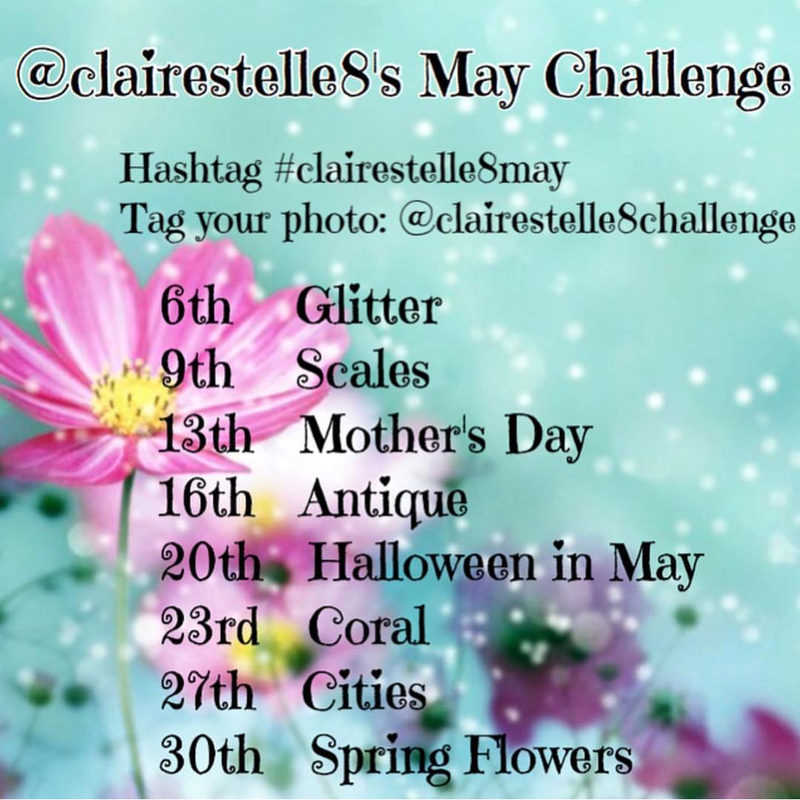 Will you be joining the #clairestelle9may challenge?